There have been many attempts to fit the facts of the story to reality. Here we accept the problems. Instantly, we run into trouble. The archeological record for Athens, established by Carbon 14 dating, only begins in circa 3000bc. Taking into account the significant gap in dates, the possibility of a serious war between the Atlanteans (9,000bc) and the Athenians (3000bc), as presented by Timaeus & Critias, is simply not possible. This poses a very serious problem. If we accept the story of Atlantis as accurate (a land far away) but admit that Plato’s (Solons’s) description of an early Athenian civilization is wrong then we are clearly choosing to accept only that which fits-the-story. This is not acceptable Literary Forensics. Is there an explanation of this inaccuracy? Well, there are two but neither is completely convincing. In the first there is another civilisation that predates the Athenians that was as advanced as the Atlanteans and – through the confusion of recollection – the Greeks / Egyptian priests have amalgamated the two to become an earlier Athenian people or there was an actual advanced Athenian civilisation that is now at the bottom of the Mediterranean as Plato describes. It’s interesting that he considered this problem in his writings and provided a solution. If it is not historically accurate it does show remarkable psychological cunning and forethought. For the moment let’s accept that there was an earlier Hellenic / Athenian civilization that was destroyed by floods and rising sea levels. Could a civilisation disappear so completely? Well, yes they could. Herculaneum & Pompeii, (1748) Troy (1870+) and Akhenaten’s desert city, Armarna (1887) have all been rediscovered in fairly recent years. (The dates indicated in brackets are when they were rediscovered.) Of critical importance is that these have all been on land not under the sea. It is only in the past sixty years that serious, and expensive, exploration of sunken ruins has commenced. So, while admittedly it is unlikely that such an Athenian civilisation existed, it could have. Plato may be on shaky ground but we still can’t prove him wrong. He himself admits that this early and advanced Athenian civilisation was swept into the sea. Is this incredibly cunning or is he just recording the facts as he knew them – you decide? Just remember that only a few hundred (not thousands) of years ago you could have been put to death (or at least imprisoned) for saying that the world was not the centre of the universe. “The first definite reference to the use of triremes in naval combat dates to ca. 525 BC, when, according to Herodotus, the tyrant Polycrates of Samos was able to contribute 40 triremes to a Persian invasion of Egypt.” (Wikipedia 2007). A trireme is an ancient wooden warship powered by three (tri) tiers of slaves using oars. Plato, through Critias, refers to this type of ship being used in Atlantis. It’s something of a problem that this type of ship exists so many thousands of years before it is historically first recorded. From the account of Critias, it is obvious that Atlantis was a successful society for many generations of kings and princes but to have triremes so early suggests a very advanced or long-surviving civilisation – way beyond the Athenians. However, contrary to much of the pure rubbish that has been written about Atlantis, there are very few references in the original texts to it being an unusually advanced civilisation as many modern authors, mystics and frankly weird individuals, would have you believe. At no point in either the dialogue of Timaeus or Critias does a reference exist that that the Atlanteans were remarkable for their technology. Surely Plato wouldn’t have missed this important point? In fact, only three references to advanced technology exist. The first is to the Triremes, the second, by implication, is the Atlanteans ability to excavate large amounts of rock, and the third is to the mysterious metal – orichalcum. With regard to later claims of Atlantis being the source of all advanced technology – this is nonsense. In the original texts there are no references to atomic crystals, unusual longevity, aliens or flying machines of any type. These references have all been alluded to in relatively recent times and have no source in the writings of Plato. We’d like to say a lot more about these sensationalist claims but what we’d accuse them of could be construed as libellous So, using Literary Forensics, let’s examine the technology point-by-point. Could the Atlanteans have had Triremes? Yes they could although it is unlikely in their early period. When exactly in their history did they have them? 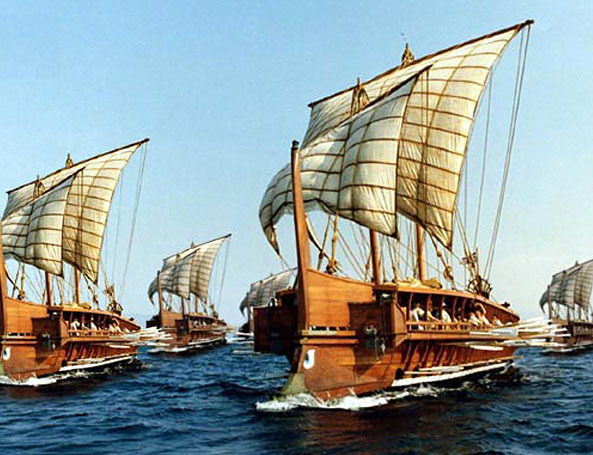 Certainly some time towards their final days because Plato’s text clearly states that in the beginning the Atlanteans were unable to sail and triremes definitely had sails. Could the Atlanteans have excavated large amounts of stone and rock? The answer is yes. The fact that the Pyramids of Egypt exist proves this. It just takes lots-and-lots of people and a society that can afford to support them. 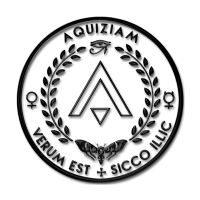 What was orichalcum? Here we have an obvious answer. It was probably a gold and copper alloy. Why do we believe this? 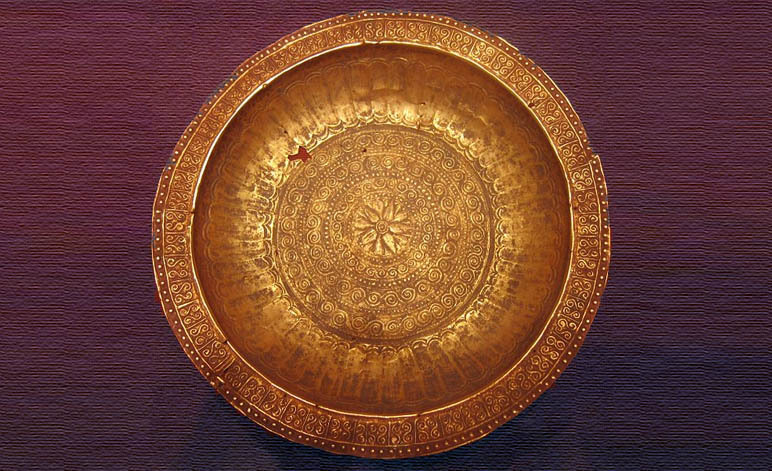 Well, “ori” most likely refers to gold (aurum or aurium – Etruscan) and Chalcum is very similar to the Greek word “chalkos”or “chalkusm” meaning copper. At no point in the text of Critias are any magical properties assigned to this metal. All that is said is that it was reddish in colour, useful, coated the walls of the inner citadel and was valued almost as much as gold. Well, Plato, so far so good. We’ve looked at your story and a lot of it ties in with the historical record. Where you’ve allude to aspects that seem unbelievable, and allowing for reasonable doubt, we’ve been unable to prove you wrong.